Western countries, including Canada, are backing opposition leader and self-declared president Juan Guaido. Eva Golinger says that's dangerous. Thousands of protestors took to the streets in Venezuela this week in response to the recent presidential upheaval. Juan Guaido, the official opposition to President Nicolas Maduro, declared himself the interim president of Venezuela. On Wednesday, Western countries including Canada and the U.S. officially recognized Guaido as the interim president. 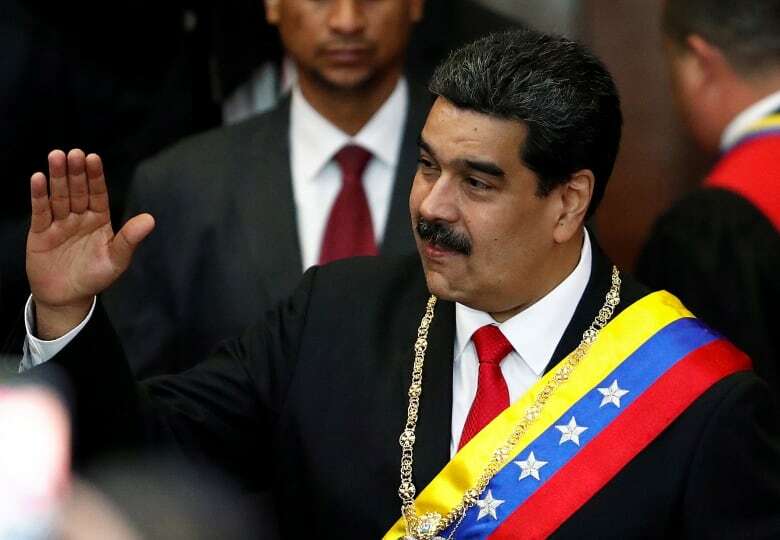 The response from Western countries lead Maduro to claim the situation a coup and ordered U.S. diplomats to leave Venezuela. Eva Golinger served as an advisor to former President Hugo Chavez for nearly ten years. 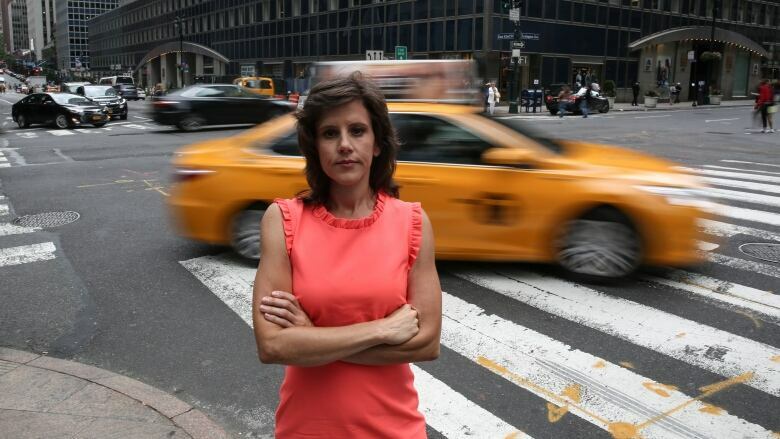 She is a Venezuelan-American journalist, legal and strategic advisor and media personality. She is also the author of several books about the Hugo Chávez, who she supported. Golinger spoke with Day 6 host Brent Bambury to discuss the recent uncertainty in Venezuela. Here's part of that conversation. 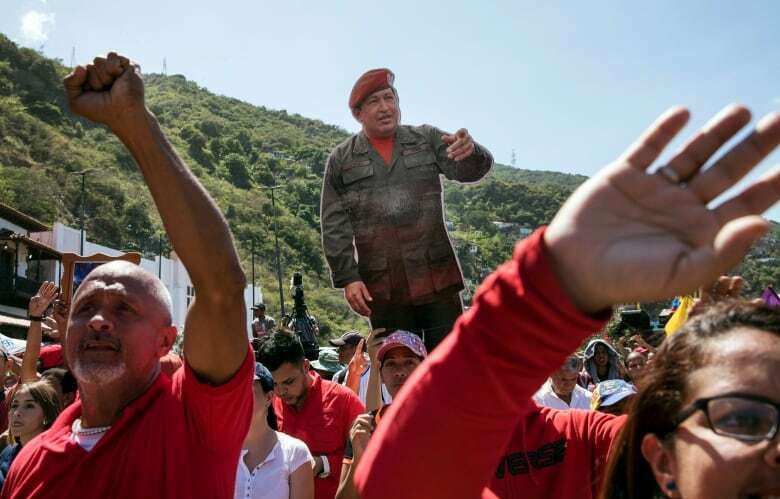 This week, two men — Nicolas Maduro and Juan Guaido — are both claiming to be president of Venezuela. Whose legitimacy do you recognize? I think this is a very unprecedented situation. I mean, you know, Maduro has been the president of Venezuela. He's the one in control of government. He's the one in control of the country's institutions. He went through a presidential election, disputed as it may be, and won with the majority of votes. 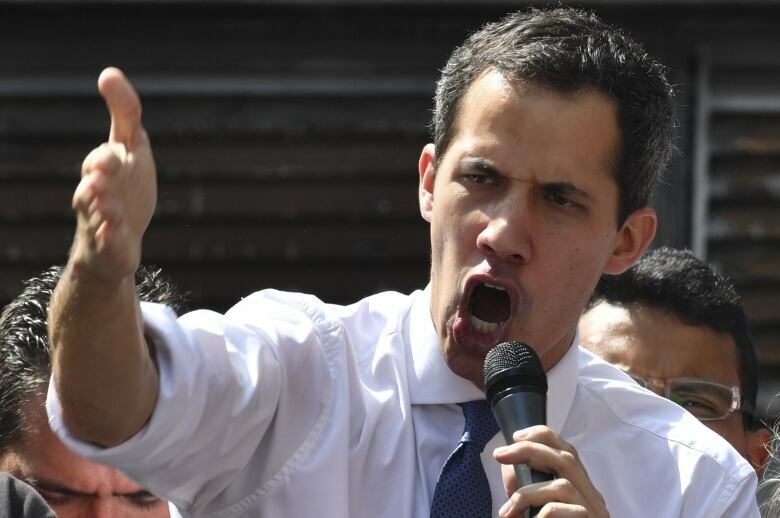 Juan Guaido was elected as a legislator in the National Assembly which is Venezuela's parliament and he also is a legitimately elected politician, a legislator, but for him to declare himself the executive — the head of government — really is an unprecedented scenario. What do you think of the fact that countries including Canada and, of course, the United States decided that they would recognize Juan Guaido as the interim president? Do you think they made the wrong call? I do. It's a dangerous precedent. Imagine if the tables were turned and it was a nation that may not be as friendly to U.S. or Canada, and it was recognized by maybe one of their adversaries. Or, maybe Russia recognized a head of state ... of the U.S. or Canada, and recognized, you know, an opposition politician as head of state and then decided they would do business with them. Then beyond that, I mean, we can make all kinds of theoretical arguments on either side to say who is legitimate, who is not, but there are real life logistics to this situation. Beyond the political strife within Venezuela, the potential for an explosive violent situation clash amongst supporters of both sides, we also have the logistics of, well, how exactly does this internationally recognized ... head of parliament, how does he plan to go about getting control over the state institutions and the economy? There is no logistical path for that unless it's done by force because as of this moment, at least, you know Nicolas Maduro and his government are not relinquishing power. They're not just going to walk out of the presidential palace and say, "Here's the key it's all yours." They're standing strong in their position saying, "Wait a minute, we are the legitimate representatives of this country." They're recognized by other powerful nations like Russia and China. You mentioned this week, in a tweet, you said, these conditions — the fact that countries are choosing sides, essentially — could mean that there's a geopolitical war brewing which sounds like a pretty dire assessment. Can you explain that for us? We have to remember Venezuela has the largest oil reserves on the planet. It's sitting in Venezuelan territory. On top of that, it's a country very rich in other minerals and resources like gold, natural gas, I mean there's all kinds of strategic resources in Venezuela. It's a very geo-strategically located country. So, of course there are many powerful interests around the world — economic and political — that would like control of Venezuela. There's competing interests and now the doors have been opened over the past decade or so to Russia and China and Iran and, of course, that has not made the United States very happy. The United States considers this their sphere of influence and they want to keep it that way. John Bolton was notoriously hawkish on Venezuela when Hugo Chavez was president back in the mid 2000s. Now he's Trump's national security advisor. Do you think John Bolton wants to intervene in Venezuela? Completely. He's already put out a statement to that effect. They've been essentially — and excuse my language, but — salivating over this opportunity for a long time. Bolton was in power in 2002 when the Bush administration promoted a coup against Chavez that failed after 48 hours. Again, this is an ongoing policy. It's been escalating out of Washington [D.C.] so this is not new. This happens to be a very bold and impulsive administration in Washington that's decided to move forward with no holds barred. And at the same time, it's not just Bolton. I think the person who's most got Trump's ear on Latin America is Florida Republican Senator Marco Rubio who has a widespread constituency of expat Venezuelans who are very wealthy. And on top of that he's a first generation Cuban American who is fervently opposed to the Cuban regime or Cuban government of the Castros, now in the hands of a successor, but still I mean they see them closely aligned. So, they've been wanting to do whatever's possible to provoke regime change in both Venezuela and Cuba and, I think, Rubio probably made a deal with Trump saying essentially he would back Trump's policies and agenda if Trump lets him lead on Latin America which means first and foremost regime change in Venezuela. And I think we're seeing that play out in real time and they're not even trying to hide it. This is not like the clandestine CIA operations of the past. This is out in the open. It's direct and explicit. You were one of the voices this week that raised the possibility of war. What do you think is going to happen? Venezuela is an unpredictable land. But I do believe that this has been an escalating tension that is now coming to a head. I would hope that it wouldn't get to that state. I do not think that the Venezuelan military would move to a war scenario, although they are prepared for that. But they certainly couldn't come up against the United States military or military force from other countries. So, I think that the results should be hopefully a negotiated solution. This transcript has been edited for length and clarity. To hear the full interview with Eva Gollinger, download our podcast or click 'listen' at the top of this page.